Humans belong to the family known as the great apes, or Hominidae. This group includes chimpanzees, gorillas, bonobos, and humans (2). Each of these species has similar traits, including hands and feet, five digits on each hand and foot, being mammals, etc. However, each of these species and genus’ are different because of their taxonomy. Homo heidelbergensis was an early hominid species that lived around the 700,000 – 200,000 years ago[JB5] in Europe, Africa, and possibly Asia[JB6]. This species was the first early hominid that was adapted [JB7]to living in colder environments, thanks to their smaller bodes conserving more heat, and their capabilities of being able to control fire. Evidence is seen [JB8]from fire tools and burnt wood sites in Israel. They hunted larger game thanks to their wooden spears which is apparent due to remains of animals at the time being discovered [JB9]with H. heidelbergensis fossils and tools. This species also was the first of the early hominids to use natural structures as a method of shelter as seen by a site called Terra Amata in France. This species also has been found [JB10]to be the ancestor of both Neanderthals and the modern H. sapiens, which leave people wondering what was the ancestor for H. heidelbergensis (3, 5). Homo sapiens neanderthalensis, or the Neanderthal man, are H. sapiens closest extinct human relative. This can be seen [JB11]due to the certain facial features and that are similar to [JB12]those seen in people today, such as defined cheekbones, big noses, and a noticeable brow above the eyes. Living in Europe and Asia nearly [JB13]400,000 – 40,000 years ago, this species was able to [JB14]survive in cold and warm conditions due their use of shelters and building of fires. Unlike H. heidelbergensis, the Neanderthal man made and wore clothing and created symbolic objects. Also[JB15] there is evidence that this species would bury their dead, often leaving the bodies with mementos such as flowers making them the earliest species to bury their dead (8, 9). Homo sapiens denisova, or the Denisova hominid, was only recently discovered through fossils in a cave in Siberia. Only two molars and a piece of a phalange were discovered [JB16]leaving this species physical appearance to remain a mystery morphologically. However, from the DNA evidence, it was found [JB17]that this species split off from Neanderthals nearly[JB18] 600,000 years ago, living in parts of southeast Asia (1, 10). After running each of these species through a taxonomy blast sequence, the results were amazing due to the how big each tree was. The results of each blast can be seen [JB19]in the images titled “Blast 1, 2, 3, 4, 5, and 6.” Three of the blasts resulted in 10 hits during the blast run, while the remaining three resulted in 50 hits during the blast run. The purpose of this was to observe the difference in result between blast hit results. The results of the blast were what expected, showing a result of how each species of Homo evolved from one common ancestor. Each graph was displayed [JB20]as a radial tree diagram due to it being the most appropriate of the graphs. 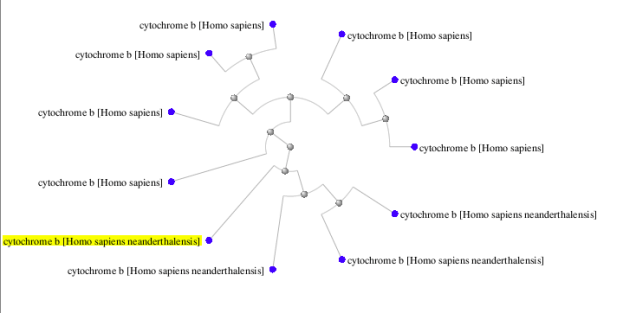 With the 10 blast [JB21]hit sequence for H. sapiens neanderthalensis only 4 Neanderthal cytochrome b sequences, including the one chosen for the blast, were seen [JB22]whereas in the 50 blast [JB23]hit sequence, 5 Neanderthal sequences appeared. This change in result by the addition of one more Neanderthal sequence was probably due [JB24]to that one new sequence being of a percent identity that was adequate for a 50 blast [JB25]parameter. It possibly did [JB26]not show up in the 10 blast hit results because the identity percentage was not high enough. A similar notion can be seen [JB27]with the H. heidelbergensis. Only one result came up in the 10 blast [JB28]hit, then one more appeared in the results of the 50 blast [JB29]hit run. However, the result did not happen in the H. denisova for either of the blast trials, due to the cytochrome b on two different accessions’ being the highest identity percentage of the blast results. In correlation to the identity percentage values being very high on each of the blast trails, the “E” value for each of these graphs was an incredibly low number, being of a value between 1 x 10-4 and 8 x 10-4. These values were at such a low quantity to show how closely related each of the species in the blast were to one another. This was expected [JB30]since each of the species in the blast were of the same genus. Unfortunately, there is no data available to determine through a blast run what the common ancestor of each species is. Results for seen through the table titled phenotypic comparisons seen below in Table 1. This table looks at the skeletal structure and posture of each of the 3 species in comparison to that of H. sapiens based on their skeletal structure (cranium, spine, ribs, etc.) and their posture (bipedal, arch, alignment, etc.). Average height of H. sapiens today is 6′ 2″ (primarily for men). 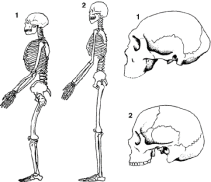 Cranial capacity of H. sapiens in current day is 1,200 – 1,700 cm3. Bipedal due to long femur bond, arched foot, and big toe being aligned [JB35]skeletally with foot structure. Bipedal due to long femur bond, arched foot, and big toe being aligned [JB37]skeletally with foot structure. Species was discovered [JB39]in 2010, so no data to give facts about the Denisovans except that they are more closely related to Neanderthals than H. sapiens. Not enough data to compare this species to H. sapiens. Through the blast trials and skeletal structural evidence found online, the results that were expected [JB40]from the beginning of the experiment were observed[JB41]. From low “E” / high identity percentage value for genotypic results, to evolutionary differences in phenotypic traits. 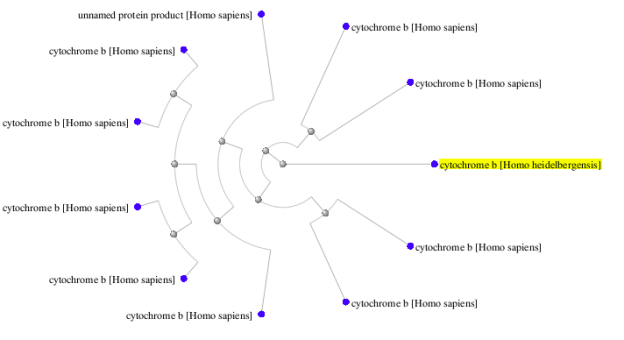 With each of the species that were input [JB42]into the NCBI blast run were all of [JB43]the Homo genus, the probability of major differences in genetic distribution would be low. Along with these low values, the identity percentages that were present in the blast run for each cytochrome b species result was high, often with a value 99 or 100%. Genotypically, each species is slightly different from one another, but this is due to said species evolving to better fit their climate and living conditions. Comparing it to the modern H. sapiens it was possible to see slight connections between each of the species (exception the Denisovan man) in terms of body posture (spine curvature) and walking ability (arched foot and aligned big toe). From research[JB44] it was devised [JB45]how closely related modern humans are to when compared to different Homo species through genotypic and phenotypic comparisons. “Denisovans Harbour Ancestry from an Unknown Archaic Population, Unrelated to Neanderthals, Page 1.” AboveTopSecret.com. NY Times, n.d. Web. 23 May 2016. “The Great Apes.” The Great Apes. Information Please, 10 Oct. 2000. Web. 23 May 2016. “Homo Heidelbergensis.” Hominidevolution –. Australian Museum, 12 Apr. 2012. Web. 23 May 2016. “Homo Sapiens.” Human Origins Program. The Smithsonian Institution, n.d. Web. 23 May 2016. McCarthy, Eugene M. “Homo Heidelbergensis.” Wikipedia. Wikimedia Foundation, n.d. Web. 23 May 2016. O’ Neil, Dennis. “Evolution of Modern Humans: Early Modern Homo Sapiens.” Evolution of Modern Humans: Early Modern Homo Sapiens. N.p., 12 Apr. 1999. Web. 23 May 2016. “Scientists Decode DNA of the Oldest Human Ancestor.” Jengsos. Jengsos, 05 Aug. 2015. Web. 23 May 2016. “Toba – Through the Bottleneck and Human Evolution.” Andamans. Nature Mag, n.d. Web. 23 May 2016. “Walking Upright.” Walking Upright. The Smithsonian Institution, n.d. Web. 23 May 2016. Wenz, John. “The Other Neanderthal.” The Atlantic. Atlantic Media Company, 24 Aug. 2014. Web. 23 May 2016. Personal engagement – This criterion assesses the extent to which the student engages in the exploration and makes it their own. One may recognize personal engagement in different attributes and skills. The student could discuss his or her individual interests. Also, the student could show evidence of independent thinking, creativity or initiative in the design, implementation, or presentation of the investigation. This report does not meet the standards described. The student presents limited evidence of personal engagement with the exploration with little independent thinking, initiative, creativity, or insight. The justification submitted by the student for selecting the research question and the topic under investigation does not show personal significance, interest, or curiosity. There is little evidence of personal input and initiative in the designing, implementation, or presentation of the investigation. The proof of personal engagement with the exploration is evident with important independent thinking, initiative, creativity, or insight. The student showed personal significance, interest or curiosity in the justification given for selecting the research question used. The student demonstrates personal input and initiative in the designing, implementation, or presentation of the investigation. Comments on personal engagement: The student showed how the investigation was personal by using several different attributes and skills to achieve the goal. The student’s personal interests guided the investigation. The student showed independent thinking, creativity, and initiative in the design, implementation, and presentation of the inquiry. Exploration – This criterion assesses the extent to which the student sets up the scientific context for the work, tells a clear and focused research question and uses concepts and techniques proper to the Diploma Program level. Where proper, this criterion also assesses awareness of safety, environmental, and ethical considerations. The student’s report does not reach a standard described by the descriptors below. The student named the topic of the investigation, and a research question of some relevance is stated but not focused. The background information included is superficial or of limited relevance and does not aid the understanding of the context of the investigation. The method of the inquiry is only proper to discuss the research question to a very limited extent since it takes into consideration few of the significant factors that may influence the relevance, reliability, and sufficiency of the collected data. The student named the topic of the investigation and described a relevant but not fully focused research question. The background information included is proper and pertinent and aids the understanding of the context of the inquiry. The method of the investigation is proper to discuss the research question but has limitations since it takes into consideration only some of the significant factors that may influence the relevance, reliability, and sufficiency of the collected data. The student named the topic of the investigation and described a relevant and fully focused research question. The background information included is entirely proper and pertinent and enhances the understanding of the context of the inquiry. The method of the inquiry is highly proper to discuss the research question because it takes into consideration all, or most, of the significant factors that may influence the relevance, reliability, and sufficiency of the collected data. Comments on exploration: The student set up the scientific context for the work, telling a clear and focused research question and using concepts and techniques proper to the program. The student considered and were aware of safety, environmental, and ethical considerations. Student did not list a hypothesis, but the report alludes to the hypothesis. Deeper development of background information would improve the report. Analysis – This criterion assesses the extent to which the student’s report offers evidence that the student has selected, recorded, processed, and interpreted the data in ways that are relevant to the research question and can support a conclusion. The report includes insufficient relevant raw data to support a valid conclusion to the research question. The student carried out some basic data processing, but it is either too inaccurate or too inadequate to lead to a valid conclusion. The report shows evidence of little consideration of the impact of measurement uncertainty in the analysis. The report includes relevant but incomplete quantitative and qualitative raw data that could support a simple or partially valid conclusion to the research question. The student carried out proper, and enough data that could lead to a broadly valid conclusion, but there are significant inaccuracies and inconsistencies in the processing. The report shows evidence of some consideration of the impact of measurement uncertainty in the analysis. The report includes enough relevant quantitative and raw qualitative data that could support an accurate and valid conclusion to the research question. The student carried out proper and sufficient information processing with the accuracy needed to enable a reader to reach a conclusion to the research question fully consistent with the experimental data. The report shows evidence of full and proper consideration of the impact of measurement uncertainty in the analysis. Comments on Analysis: The student’s report offers evidence that the student selected, recorded, processed, and interpreted the data in ways that are relevant to the research question and can support a conclusion. More detailed statistical analysis would improve the report. Evaluation – This criterion assesses the extent to which the student’s report offers evidence of evaluation of the investigation and the results of the research question and the current scientific context. The student outlined a conclusion which is not relevant to the research question or has no support by the data presented. The conclusion makes a superficial comparison to the current scientific context. The student outlined the strengths and weaknesses of the investigation, such as limitations of the data and sources of error, but restricts the information shown to an account of the practical or procedural issues faced. The student has outlined very few realistic and relevant suggestions for the improvement and extension of the investigation. The student describes a conclusion which is pertinent to the research question and supported by the data presented. The student describes a conclusion which makes some relevant comparison to the current scientific context. The student describes the strengths and weaknesses of the investigation, such as limitations of the data and sources of error, and offer evidence of some awareness of the methodological issues* involved in showing the conclusion. The student has described some realistic and relevant suggestions for the improvement and extension of the investigation. The student describes and justifies a definite conclusion which is entirely relevant to the research question and fully supported by the data presented. The student correctly describes a conclusion and justifies it through relevant comparison to the current scientific context. The student discusses strengths and weaknesses of the investigation, such as limitations of the data and sources of error, and offers evidence of a clear understanding of the methodological issues involved in setting up the conclusion. The student has discussed practical and relevant suggestions for the improvement and extension of the investigation. Comments on evaluation: The student’s report offers evidence of evaluation of the investigation and the results of the research question and the current scientific context. An in-depth discussion and application of statistical analysis would improve report. Communication – This criterion assesses whether the student presents and reports the investigation in a way that supports effective communication of the focus, process, and outcomes. The presentation of the investigation is unclear, making it difficult to understand the focus, process, and outcomes. The report is not well structured and is unclear: the necessary information on focus, process and the student either presented the results in an inconsistent or disorganized manner or are missing. The student obscures an understanding of the focus, process, and outcomes of the investigation by the presence of inappropriate or irrelevant information. There are many errors in the use of subject-specific terminology and conventions**. Sources not properly cited and/or Works Cited page missing, not following Modern Language Association (MLA) style guidance. The presentation of the investigation is clear. Any errors do not hamper understanding of the focus, process, and outcomes. The report is well structured and definite: the necessary information on focus, process and the results are present and presented in a coherent way. The report is relevant and concise thereby helping a ready understanding of the focus, process, and outcomes of the investigation. The use of subject-specific terminology and conventions is proper and correct. Any errors do not hamper understanding**. Sources properly cited and Works Cited page included, following Modern Language Association (MLA) style guidance. Comments on Communication: The student presented and reported the results of the investigation in a way that supports effective communication of the focus, process, and outcomes while having some errors in the correct format and MLA style guidance. * One should apply this indicator only when proper to the investigation. ** For example, incorrect/missing labeling of graphs, tables, images; use of units, decimal places, referencing and citations. 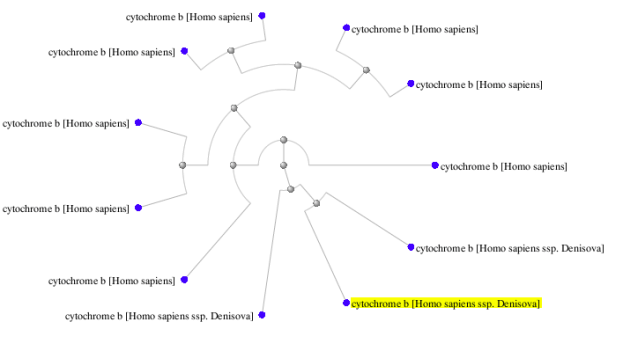 "The Taxonomy of Three Homo Species." UKEssays.com. 11 2018. All Answers Ltd. 04 2019 <https://www.ukessays.com/essays/biology/taxonomy-homo-species-5128.php?vref=1>. "The Taxonomy of Three Homo Species." All Answers Ltd. ukessays.com, November 2018. Web. 23 April 2019. 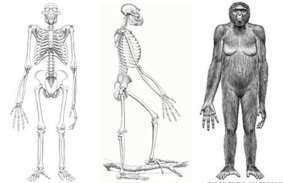 <https://www.ukessays.com/essays/biology/taxonomy-homo-species-5128.php?vref=1>. UKEssays. November 2018. The Taxonomy of Three Homo Species. [online]. Available from: https://www.ukessays.com/essays/biology/taxonomy-homo-species-5128.php?vref=1 [Accessed 23 April 2019]. UKEssays. 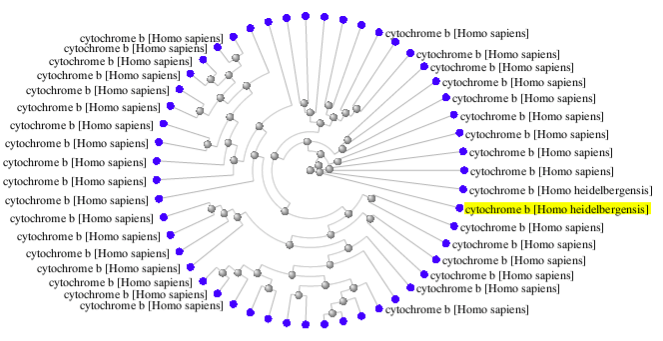 The Taxonomy of Three Homo Species [Internet]. November 2018. [Accessed 23 April 2019]; Available from: https://www.ukessays.com/essays/biology/taxonomy-homo-species-5128.php?vref=1.